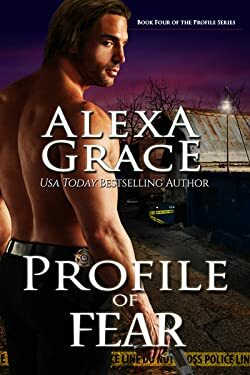 USA Today Bestselling Author, Alexa Grace began her writing journey in March 2011 when the Sr. Director position she'd held for thirteen years was eliminated. A door closed but another one opened. She finally had the time to pursue her childhood dream of writing books. Her focus is now on writing riveting romantic suspense novels including her popular Deadly Series: Deadly Offerings, Deadly Deception, Deadly Relations and Deadly Holiday. Readers are describing her new Profile Series (Profile of Evil, Profile of Terror, and Profile of Retribution) as "edge of your seat reading from page one to the end". PROFILE OF FEAR is coming in 2016. Alexa's books are in ebook and print formats at all major online retailers. Please enter your email address and click the Follow button to follow Alexa Grace!